Regarding the recent announcement of the purchase of GitHub by Microsoft, for Cielo Costa, being a Microsoft consultancy who already use Azure DevOps, formerly known as Visual Studio Team Services, or VSTS, we look forward to further integration between the two services. In our opinion, the acquisition will make it easier to work on open source projects and contribute to making our own projects more open source directly, which will be a distinct advantage in the development market space. We understand that Microsoft will know by the 19th of October if the EU regulators will authorise the $(US)7.5bn acquisition (Edit: EU Regulators have approved the acquisition Oct 19th), according to a recently announced filing. The filing, originally presented on the 14th of September, makes a request for approval from the EU regulators. EU competition regulators can either give the buyout the green light or request for a more detailed investigation, which could have conditions applied to the overall deal. Microsoft is no newcomer to EU regulation complications, citing previous debilitating conditions that were set on their acquisition of LinkedIn as well as that in the Nokia acquisition. We will know post 19th of October what, if any, conditions will be set. GitHub has a varied and wide community, boasting 85 million repositories, with over 28 million developers contributing to them. This is a lot of valuable material from a trusted and engaged community. From the inception of GitHub back in April 2008, they have been building on these trusted roots, tirelessly proving themselves to become an industry standard to the contribution of global development. GitHub’s brand promise was to always make it easier for developers to be developers: “to work together”, “to solve challenging problems”, “to create the world’s most important technologies”. With Microsoft’s typical reputation to envelop what is great third-party technology and perhaps then pigeonhole that into their existing technology, they need to ensure they continue to foster a collaborative community that can work for individuals or in teams and continue to create “the future of software”, making that every important “difference in the world” which has always remained the heart of GitHub’s promise to the development community. For the industry, we think Microsoft being the buyer, fits well with the ethos that we are pleased to see Microsoft using. Many of their own projects are moving to open source, such as the work with the SharePoint Framework (SPFx). In addition, Microsoft is one (if not, the) largest contributor to GitHub. 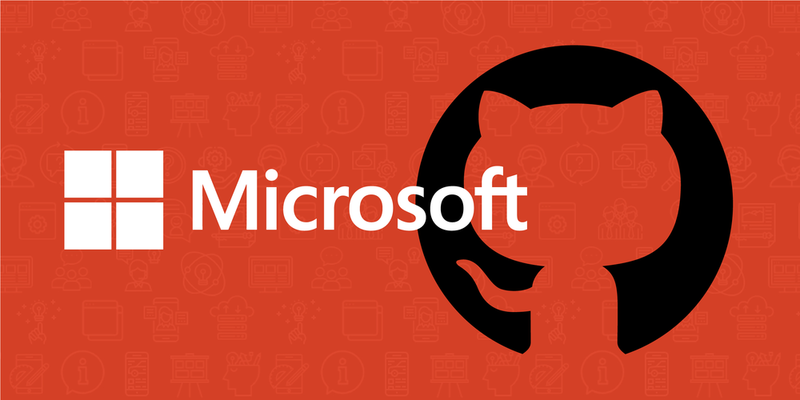 Microsoft will need to tread carefully to ensure that GitHub stays an industry favourite for open source projects, and developers are not scared off to other platforms like GitLab. It will also be interesting to see how Google, who previously tried to buy GitHub, and Facebook, who are currently some of the top contributors to GitHub, will respond now that their rival has purchased the platform.